What’s the verdict: Office Christmas Party expertly captures the feeling of attending a work bash. For the first fifteen minutes it is strained, awkward, and has you checking your watch for when you can make a polite getaway. When it’s all over you may not be any the wiser. You might regret some of the stuff you found hilariously funny. But, you will not be able to deny you had a bloody good time. Like Tina Fey and Amy Poehler’s Sisters, this is essentially an excuse to stage a series of ever-escalating skits around a party setting. And like Sisters it even has the gall to go for a big dramatic ending to add weight to the fluff. And as with that film it is hard to resist the goodwill and effort from all involved, particularly during early plot-setting scenes when the fun-to-watch cast perform particularly heavy lifting with not great material (amazingly credited to six writers). But all involved, including Blades of Glory directors Gordon and Speck, are on a mission to bring a frolicking, filthy n’ furious festive film to the big screen. It ain’t Trading Places, but it sure isn’t Christmas with the Coopers either (a film that came out last year and instantly evaporated). Courtney B. Vance has a ball as the big fish the team try to land, accidentally ingesting powerful “snow” and becoming entertainingly unhinged. And with frequent threesomes, call girls, human centipede references and gross misuse of a printer, Gordon and Speck reveal how Requiem for a Dream would appear if done as a comedy. On their fifth cinematic outing together, Bateman and Aniston bring the expected big screen charm, Munn happily has more to do here than in X-Men: Apocalypse, while Kate McKinnon delivers her second slice of weirdo-funnies this year after Ghostbusters. 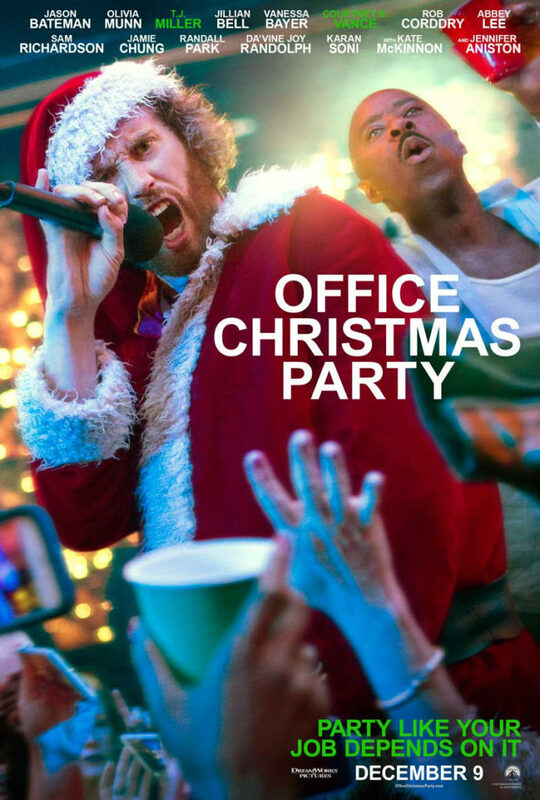 But, life of the party is T.J. Miller, effortlessly raising chuckles and leaving the impression an Elf-style leading man role in the near future may be no bad thing. Good fun, and you won’t have a hangover or Secret Santa anxieties. So better than the real thing then?